If you want to place an order, you need to call us at 412-882-3100 or send an email to mike@speednation.com. We no longer accept credit cards online. Excellent 1/43 scale (4+" long) diecast. Comes with a FREE acrylic display case and a really cool collector box. Looks like the car that James Bond drove in the movie Goldeneye. This is a very high quality 1/64 scale (approx. 3" long) diecast. 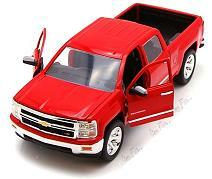 You won't find a more highly detailed 1/64 scale diecast in the planet! Plus, it comes with a FREE acrylic display case. This is a 1/24 scale, 7" long diecast. The doors and hood open to show engine detail. Click for more photos. Excellent quality 10" long diecast. Very limited production. They have been discontinued, so once I sell out, that will be it - forever. Opening doors and hood with amazing detail. Last few! Highly detailed 1:43 scale (4" long) diecast of the New BMW 1 Series 5-door Hatchback. Has an opening hood with engine detail. Comes with a FREE acrylic display case. Click for more photos. Excellent quality on this very rare, out of production, limited edition, 1:18 scale 10" long diecast by Ertl. Good luck finding this anywhere else. Ertl went out of business 5 years ago and we bought all they had left of this great Pace Car diecast. These are in mint condition - even the box is perfect. Released by Action and manufactured by Minichamps, these amazing diecasts were produced in extremely limited numbers (only 2,112 made). They also come with a FREE acrylic display case. Hurry - only 2 left! This is a 1/24 scale (6.5" long) diecast. The doors and hood open. Over 8" long with opening doors and hood with engine detail. Excellent 1/43 scale (4" long) diecast of the Volkswagen Golf 5 by Auto Art. Comes with a FREE high quality acrylic display case! This product has been discontinued, and no Autoart distributor anywhere in the world has any left, so once we sell out, that will be it - forever. Very good quality 10" long diecast. Limited production. They have been discontinued, so once I sell out, that will be it - forever. Opening doors and hood with interior and engine detail. This is a very high quality 1/87 scale (HO scale - approx. 2" long) diecast that comes in a really nice hard acrylic display case!